Register is a domain name registrar and shared hosting provider that offer various plans that let you know exactly how much memory and bandwidth you have. 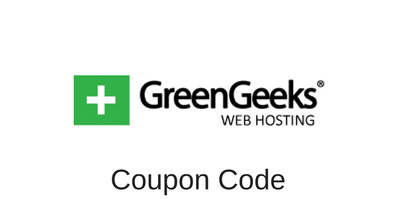 Register offers four main hosting accounts, and each one has very different features. But, do any of these accounts match your needs? Read on and find out. Register has four main accounts to choose from. These are the prices if you sign up for an annual plan. If you sign up for a monthly plan, then the prices are higher. It is a little peculiar to find Windows hosting that costs the same as basic hosting, as Windows hosting is usually more, but it is a nice change of pace for those that use Windows-based applications like ASP and MS Access. One of the best things about Register is their uptime guarantee. Most hosts have 99.9% or 99.99%, but Register promises 100%. If your website ever goes down, Register will refund you for any downtime. For more information about their hosting plans, visit Register.com. The bandwidth and disk space for each account is different, and knowing how much is offered is important because you don’t want to get an account that doesn’t have enough memory for your website. The Essential plan gives you one free domain, 5GB of disk space and 250GB of bandwidth. The Windows plan gives you one free domain, 20GB of disk space and 300GB of bandwidth. The Professional plan gives you one free domain, 250GB of disk space and 1,000GB of bandwidth. Lastly, the Premium plan gives you three free domains and unlimited disk space and bandwidth. Most people often have more than one domain and they want to host all of their websites under one account. This is especially true for businesspeople or those trying to make money online. With both the Essential and Windows plan, you are able to host one domain at a time. The Professional plan allows you to host five websites at a time, and the Premium plan allows you to host an unlimited number of domains at once. Considering the amount you have to pay for the Essential and Windows plans, it is a little strange that you can only host one domain. Most hosts, even with their basic plan, allow you to host several domains at once. This is a little crippling, especially for the price you are paying. Having an email address that matches your website is perfect, especially for businesses. Register offers a different number of email accounts based on the hosting account you selected. Both the Essential and Windows plans give you one email account and 10GB of email storage. The Professional plan gives you 10 email accounts and 50GB of email storage. You get 25 email accounts with the Premium plan, and you get 125GB of email storage. Once again, only getting one email account with the Essential and Windows plans is a little odd considering the amount you are spending. While the storage isn’t bad, and many basic users won’t need more than one email account, it can still present a problem. Like most Web hosts, Register allows you to quickly install certain scripts and tools. There are blog scripts, and even an intuitive blog builder. You can also install e-commerce scripts, Wikis and forums onto your domain. While the scripts are basic, they are still good to see. Register has many things going for it and there are a lot of features to select from. Perhaps the best thing is the 100% uptime guarantee. But, the prices are a little high for the basic features you get. Due to the price and limitations, Register.com gets a 3 out of 5. This host is good, but the prices are a bit much. However, if uptime is incredibly important to you, it remains a good option. Still, at that price, you might as well go for cheaper options such as HostPapa or HostGator, which will give you more bang for your buck. This entry was posted in Web Hosting Reviews on April 13, 2012 by WHR.